The Prime Minister of Papua New Guinea, Peter O’Neill has extended condolences to H.E. Raul Castro, the President of Cuba, on the death of his Brother, the Late Fidel Castro, in Cuba overnight. Prime Minister O’Neill, who arrived back from an Official Visit to Cuba on Friday this week, said at the passing of a world Leader, irrespective of politics, is a time to pause and reflect. "It was only Tuesday night this week that I had dinner with President Raul Castro and he expressed his concern at the health of his brother,” the Prime Minister said. 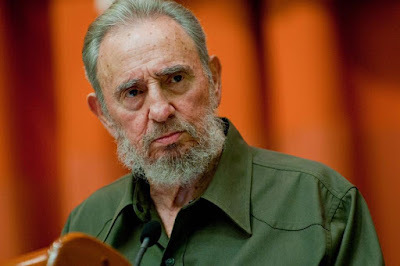 "We did not expect that the passing of Fidel Castro would be so soon. "The passing of Fidel Castro is another marker in global politics. "Regardless of the politics of the time, such as the Cold War in relation to Cuba, when the war is over we all have the time to look back and to be humble. "Ultimately it does not matter on which side of the politics your stood in a war, but when a warrior passes it is time to pay homage to the person who stood by their convictions. “The legacy that Fidel Castro leaves for the world is far-reaching. “Outside the politics, Fidel Castro pioneered the development of pharmaceuticals and healthcare services in his country and these are being extend around the world.